Branding identity for any company is a quite big part of advertisement. We think it is really important to have some interesting things that can show the logo and some important information about your company. 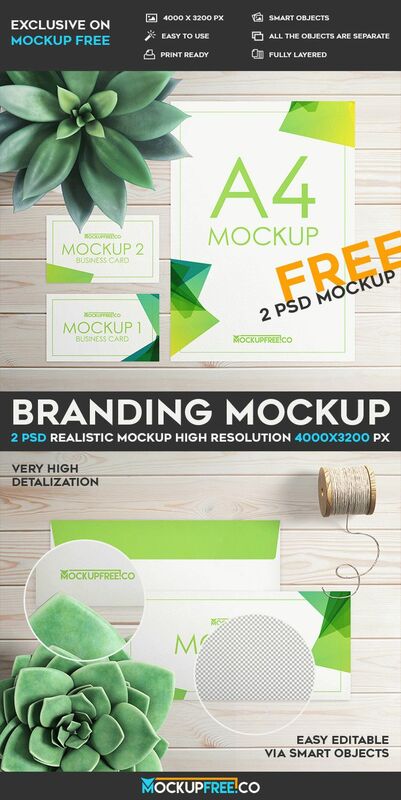 Download our new 2 Free PSD Mockups – Branding and enjoy the results! After adding the necessary design, it is possible to create presentations and surprise your future clients. Of course, you need to have some basic knowledge of this program. But, there is a huge amount of teaching material, since this program is one of the most popular all over the world dedicated to graphic design and many others!